Unlike many people think, Germany is not a grey, serious and rainy country but an interesting place to discover something new every day. After a couple of years living here I have had the opportunity to visit not only the well-known German metropolis such as Berlin or Hamburg, but also small ancient cities and the countryside. If you are willing to come to visit Germany in an unconventional way (by visiting some “non-so-touristic” places) keep reading this post because this week it is starting the “Best Places in Germany” post series. Are you ready to discover this remarkable country? The first time I heard about Monschau was in December 2014, when I friend of mine advised me to visit its Christmas market. Since I could not do that (it is worthier to visit it during the week, instead of during the weekends) I decided to give this old town a chance during the summer time. Located nearby the Belgium border, Monschau preserves an ancient style, which provides this small city with a special charm. The city center is divided in two by the Rur river, consequently, the two parts of the city are connected by ancient bridges. Most part of the castle is in ruins nowadays. Reused as a hostel after the IWW it is the perfect location to host summer concerts. The heart of the city. Here the visitor can find restaurants, ancient buildings with flowerbox adornments and remarkable spots to be amazed with the mountains surrounding the city. Heidelberg is one of the most popular tourist destinations in Germany, as well as one of the most important student cities. Ancient castles, narrow alleys, hilly streets and beautiful parks and gardens are part of the landscape. Its university is the oldest in Germany and famous for its medical faculty. In Heidelberg, everything is within easy reach either on foot or by bike. The castle, one of the most important renaissance structures, was started to be constructed in 1210 A.D. and, although, it has been destroyed several times due to different wars it preserves its ancient splendour. It is worth to visit the main attraction of Heidelberg and it can be seen from each corner of the city. Down in the Altstadt (the old town) there are plenty of narrow streets and squares full of restaurants, stores and cafes. The main square, Markplatz, is a cute place where to enjoy a good cup of coffee or a Rothhaus Pils, one of the most famous beers of Heidelberg. Having a walk along the River Neckar is always a good idea to avoid the crowds and to re-discover Heidelberg. The view from this side of the river is really cute and, if the weather is good, this area of the city is the best place for a picnic. The Alte Brucke (Old Bridge) can be discover after passing through a remarkable medieval gate. The bridge dates from the 18th century and it is the most visited bridge of the city. And last but not least, the beautiful city of Düsseldorf. The capital of the NRW (North Rhine-Westphalia) Region reflects the development that this area of Germany suffered some years ago. The old industrial city of Düsseldorf led to a modern, cosmopolitan city, centre of fashion, glamour and international businesses. 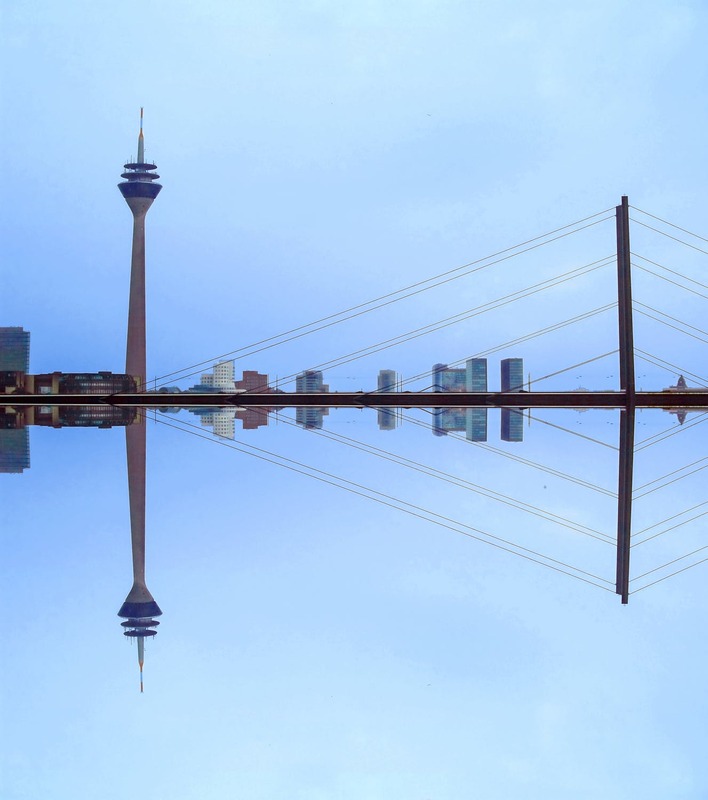 Known as the german city of fashion, Düsseldorf has the honor to have been ranked as the 6th world´s best city to live in beyond other important cities such as Frankfurt or Berlin. What to visit in Düsseldorf? To understand the transformation suffered by this remarkable city it is important to have a walk around its “Mediahafen”. The old port was rebuilt into a modern area full of international business, restaurants and hotels. Frank Gehry, in charge of this transformation, built the most emblematic buildings of this area. The old town is the core of the city. Full of narrow, car-free streets is the best place to discover the ancient Düsseldorf. Ready to have a walk surrounded by the best fashion firms of the world? Just visit the Königsalle. An “altbier” tour should be compulsory ;). Do not forget to try the traditional Düsseldorf Beer!